Concussions have been making headlines in the sports world lately, but they're a serious health risk for everyone. Close to 150,000 Canadians experience some kind of brain injury each year – more than those affected by MS, HIV/AIDS, spinal cord injuries and breast cancer combined. This means that one person suffers from a brain injury of some sort every three minutes, and that number could be even higher because a lot of people aren't aware of their own head injuries. Since the majority of injuries are mild, many go unreported, making them an important public health concern. Injuries to the brain can affect interpersonal relationships, impact productivity at work and even someone's ability to contribute to their community so they're definitely something we should all be aware of. So Dr. Sara Mitchell, neurologist at Sunnybrook Hospital, stopped by The Goods to help explain the ins and outs of this common but serious brain injury. Brain injury is a broader term that refers to things like strokes, meningitis, and infection, whereas concussion refers to traumatic brain injury with symptoms. Concussions are usually synonymous with mild traumatic brain injuries, but more specifically, concussion describes the symptoms and signs that an individual may experience after a traumatic brain injury. Although these symptoms can show up immediately after the incident, it's possible for them to appear up to to one month afterward. With a traumatic brain injury, usually there is a blow or force to the head, though that is not always the case. Often, someone goes from acceleration to deceleration, meaning that speed is suddenly stopped, such as in a car accident. Dr. Mitchell explained that the brain is sitting within a sack of fluid, so what happens when you go from really fast to a full stop is that your brain can actually bounce within the skull. When this happens, your brain hits the back or the front of the skull – which is called a coup-contrecoup injury – and the axons that connect the brain cells can become damaged. As a result, you may incur functional damage to the brain, which can cause the symptoms commonly associated with this injury. Even if undiagnosed, earlier injuries can produce long-term damage and have lasting effects. Right after you have a concussion, you're at risk for Second Impact Syndrome. This means that your brain is at higher risk of another concussion. To combat this, be sure to gradually return to your previous activities. Repeated head injuries over time puts someone at risk of chronic traumatic encephalopathy. This concern has been in the media a lot lately, especially in the sports world. Dr. Bennet Omalu was the first to discover CTE in American football players, although reports had been published previously in other athletes – such as dementia pugilistica or punch drunk syndrome in boxers. The doctor found clumps of Tau, one of the abnormal proteins in Alzheimer's disease, in the brain of athlete Mike Webster who died after a long history of cognitive and psychiatric symptoms. You can see the difference in the photo below. CTE can have an immense impact on someone's day-to-day life, causing cognitive changes that affect memory and thinking, difficulties with personality and behaviour such as impulsivity, difficulty making decisions, and mood dysregulation such as paranoia, depression, suicidality, and anxiety. As soon as you have a concussion you need to be looked at by a healthcare professional. Often, they will recommend what's called "brain spa" or "brain rest" because you want to decrease the amount of stimuli coming at the brain to give it time to recover and recoup. Prolonged symptoms may call for more sophisticated imaging and neuropsychological testing to look at your attention, processing speed, reaction time, and working memory. Dr. Mitchell assures that the good thing about suffering from just one concussion is that it should resolve just fine. What's more concerning is if you start accumulating concussions over time. Unfortunately, there is no clear threshold for how many concussions or head injuries are needed to create bigger issues. 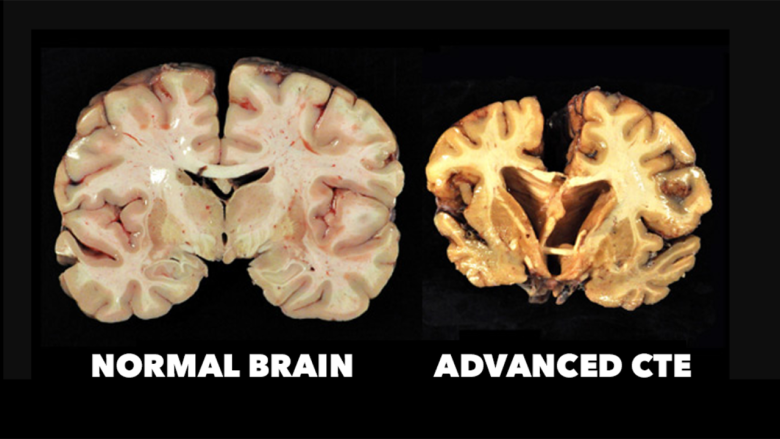 CTE can't be definitively diagnosed in a living person – only during autopsies – but there are research efforts working toward identifying the abnormal proteins in a living person that can signal CTE, but these efforts are far from clinical trials. 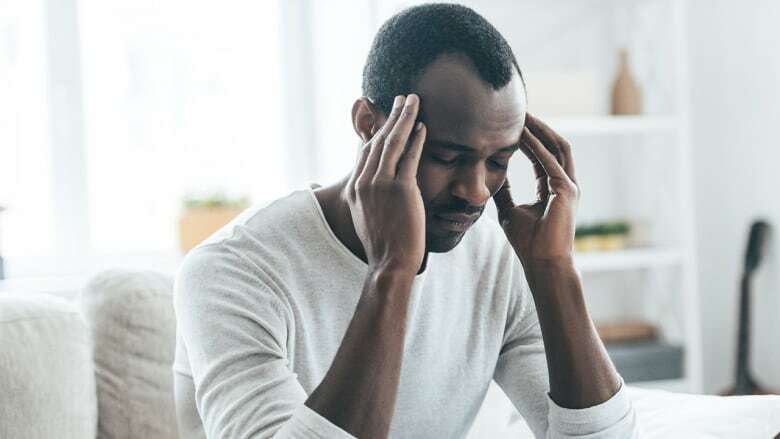 Prolonged post-concussive syndrome symptoms include headache, fatigue, irritability, anxiety, insomnia, loss of concentration and memory, noise sensitivity, making daily life more challenging. A lot of Canadians are facing this challenge, and for many the hardest part is integrating back into society. Something as simple as grocery shopping can become overwhelming after a concussion. Stores contain so much stimuli, noises, people, lights, that it can quickly become too much. Interpersonal relationships can become burdened if you have mood dysregulation, and easing back into work can be very difficult, especially for those with attention or memory difficulties. Prevention can feel overwhelming unless you focus on prevention in certain groups of people at a time. For example, for the elderly, the most likely risk for head injury for them is from falling. So medications that you may be taking that could increase your risk of falling might be reduced by your doctor, or medications might be streamlined to reduce the risk of side effects. Modifying the environment, and using gate-aids can also help. If you're elderly or at risk of falling, Dr. Mitchell recommends a falls prevention program to learn how to fall properly and avoid hitting you head. In other groups, some injuries – like from accidents – may be hard to avoid, but you should take care where possible. Always wear a helmet when riding a bike or motorcycle; this has been shown to significantly reduce the risk of brain injury. For athletes, unfortunately the advice is less clear. We know that wearing a helmet affords some degree of protection, but we can't say conclusively what the helmet is able to protect. Thankfully new helmets are being developed that might be able to help with this in the future, but for now there is a lot of research left to be done.